Sending messages through the feedback form. Write a brief about the product, service or event. FF * — * feedback form and the principle of its work. You can meet such a form on many sites. Most often it is located in the "contacts" section, and sometimes the section is called "feedback", but there are also other types of Feedback Forms. Feedback Forms are of different types depending on the resources where they are located. To confirm that you are a real person, and not some program, you may be asked to enter "captcha" in the line for it intended — we simulate this action and your message purposefully flies to the mailbox! After all these operations, the resource will send this letter to a special box, which is designed for such messages. Thus, the letter will not be considered "spam" and it will not remain without attention, even if the yard is a holiday and there is no one in the office. Common base of us feedback forms. Where are all American sites have on their sites feedback forms. The base is well established and gives good results. The latest database of sites with working forms of feedback on the United Kingdom. The base shows a good response. Sending one million messages to random sites. Sending 2 million messages to sites in Germany, United Kingdom and France. Send 25 million messages to the world's sites which have feedback forms. Send 8 million messages on the sites in Europe which have feedback forms. 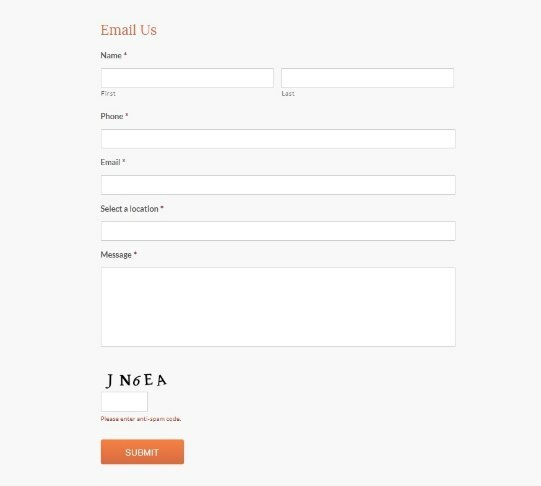 How to order a newsletter? Fill in the application form in the header or select from the list above the base you need. Fill in all the fields on the form as they are required for the job. Spend 100% advance payment for the service and start preparing the text. According to the instructions that will be sent to you after payment. The text size should not exceed 1500 characters. To the text, come up with 3 - 5 different headings of the letter. An example of the headers below. How many requests can I get from your mailing list? I cannot tell you exactly how many applications you will receive. You can get from 1 to 100 applications, a lot depends on how accurately you write the text for your target audience, as much depends on your product or service. I want to order 2 mailing, can I get a discount? Yes, you can get a discount. The discount amount depends on the number of orders. Explain how your messaging works and what are the feedback forms? We is sending messages on the forms in the contacts section, which are filled in by our robot, while solving the alphanumeric code from the picture (captcha). Then the letter with your commercial offer comes to the contact e-mail of the organization. Can you help us write a text message? Yes, I will help you with the text, for this, after payment I will send you an example of the text, you write in their likeness and send me, I will check your text and, if necessary, modify it before launching the mailing, to achieve the best result. And our direction will work with your newsletter? There are areas that 100% work and give excellent returns, there are very difficult areas where you need 3 -5 mailings to achieve results. Will there be a report and in what form it will be? The report is sure to be! You will receive a delivery report from the site to which your message was delivered. Approximately one percent of the sites provides such a report. Made a planned update of the database sites, removed from the database dead sites and added new ones.